Being charitable is a great idea for your business, whether you are a solo business owner working out of your home or you own a large corporation with many employees. Giving to charity has benefits that range from helping you get tax breaks to allowing you to be more of a helpful part of your own community. Charity has so many good benefits, whether you are donating to something local or to something national. Take some time to do some research on the charities you are considering donating to in order to make sure they have a good reputation and that your money will be going to what you expect it to. Things happen in each and every community, from house fires that take a family’s entire belongings to tornadoes ravaging entire neighborhoods. It is through different charities, local and national, that families are able to rebuild their homes and communities are able to get their businesses back up and people’s lives back on track. Local charities are those that keep the donated money in your own community. 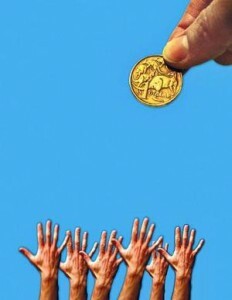 By donating to this type of charity your business gets a better reputation in your own home town, which can in turn lead to more clients and money for you. You can donate both time and money to local and national charities. If you have a business that has employees you can include them in your charitable contributions. Your business could participate in a 5K run or walk, in which employees get sponsors or donations for the amount of walking or running they do. You may even want to do some pro-bono work, which counts as charitable contributions when tax time comes around. You might even want to have you and your employees spend some time volunteering at things like the local soup kitchen. When you make charitable contributions of any kind, even as a freelance contract worker, you need to save all of your receipts and donation slips. You will use these when it comes to tax time, and it could save you some money. Even if your business is running into the red this year you can get some great benefits from donations and being part of a local or national charity. Do some research, as well, on how much you can donate a year toward tax deductions. There is no sense in putting yourself even further into the red only to find out you donated double the amount you could as a business. Not only does donating to charities do good for your business when it comes to tax deductions, but you give your company a good name by helping out when and where you can.